$150.00 a set 45 minutes set. No word can express how great this was. Even asked him to stay an extra hour. Interactive with everyone there. Very cost friendly and even stayed after to visit with everyone and of course lots of pictures. Beyond all expectations.!!!!!!!! 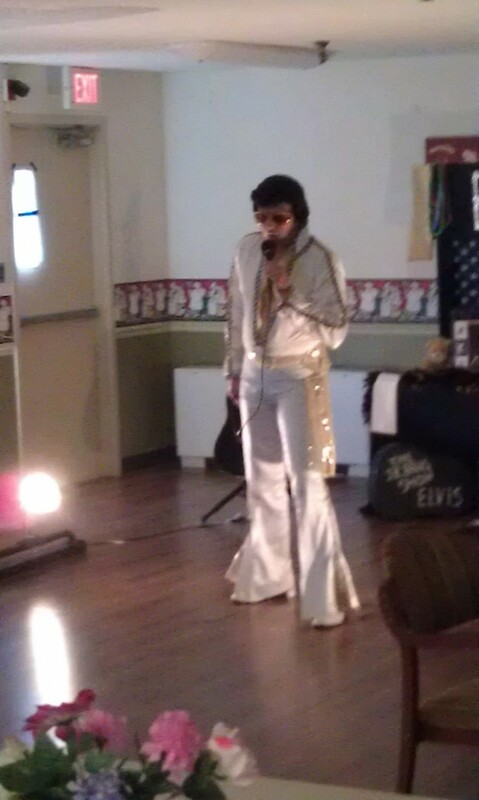 I thought or no here we go another Elvis impersonartor or great, But won 2 free tickets to his show. And when I tell you WoW, thats just what I mean, When he came out on stage, I thought I had just flashed back in time. 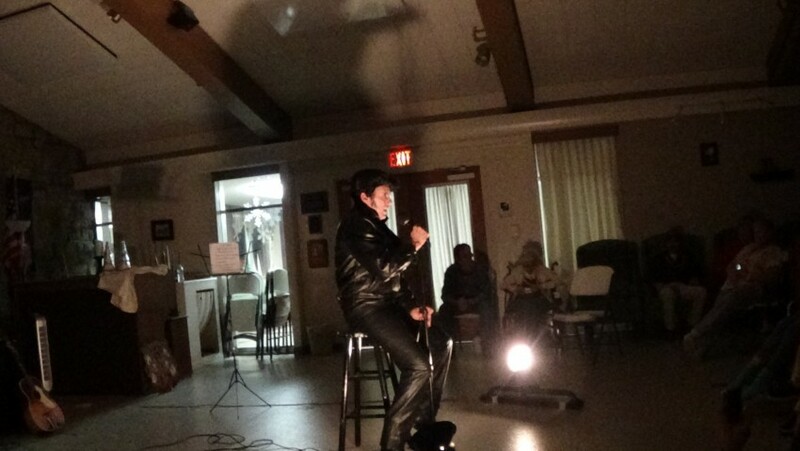 For when I was younger,I saw the real Elvis in concert. And let me tell you, I was dazed when I first saw him. Then when he startyed to sing, I was hooked on him from that moment on,What a voice and what a glimps of the real Elvis. All I can say is wow what a great show,and a great person. I will go and see this man again in concert if ever giving the chance. Price Range: $150.00 a set 45 minutes set. I Gradurated from Nth Chicago High School, in the class of 1983, After high school got married,and started a family. tribute artist. And one of the girls said hell, you dont sound like buddy or do you look like him. So we was just joking around and started to sing you aint nothing but a hound dog to them just joking around. And all of a sudden they were yelling stop for a minute. died my hair jet black,and called ourselfs (link hidden)d The flash back kids. 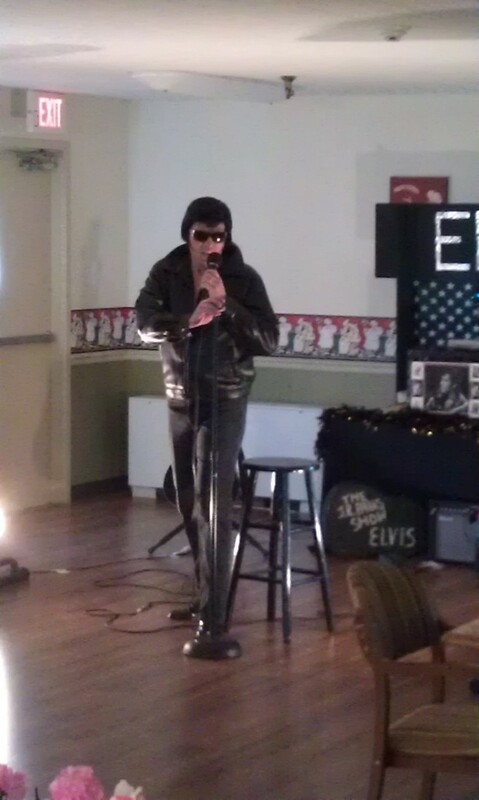 And got our first taste of doing Elvis on stage at our school dance. And the rest is history from there lol. I use simple lighting, and simple sound system, nothing big or fancy. If im performing in a place where I need alot more lightting or sound, I will rent equiptment. My performing fee can be less, if im not required to bring or rent my equiptment.